R U OK? 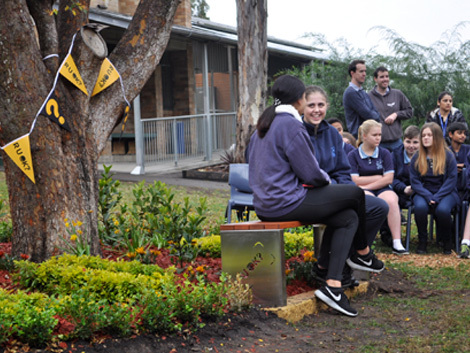 is at the heart of a new Street Furniture Australia project in schools supporting students to engage in meaningful conversations. In mid 2015, R U OK? 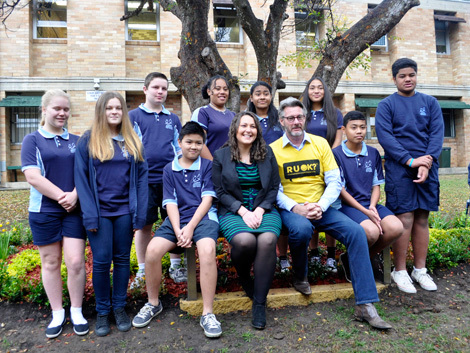 launched sixty five Conversation Corners, sponsored by Yellow Pages, in schools across Australia. 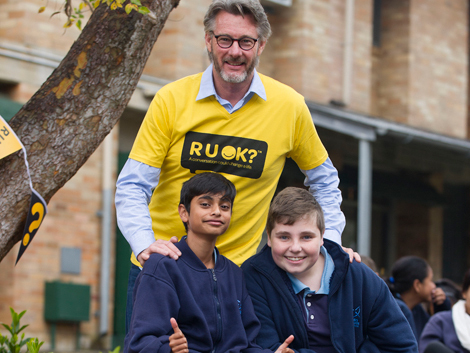 Featuring a specially designed R U OK? bench, the Conversation Corners serve as an ongoing reminder for students to support one another. 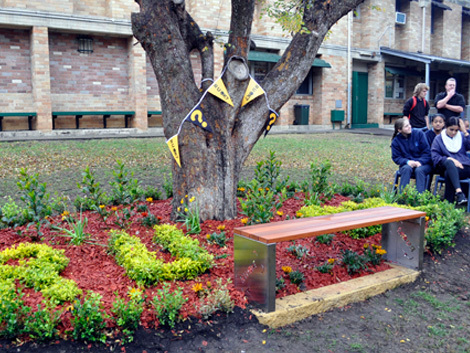 The decision to produce a folded metal bench seat for the project came down to accessibility; a bench allows for up to three students to be seated at one time. Herbut says, “Once we had decided on a bench, R U OK? realised schools could install this wherever they liked. As it could be used as an area for kids to congregate, they thought it was a great way to encourage conversation. ”R U OK? Campaign Director Rebecca Lewis calls the custom bench “the perfect solution”. The collaboration between SFA and R U OK? was successful in achieving a cost-effective product that has been embraced by participating schools.